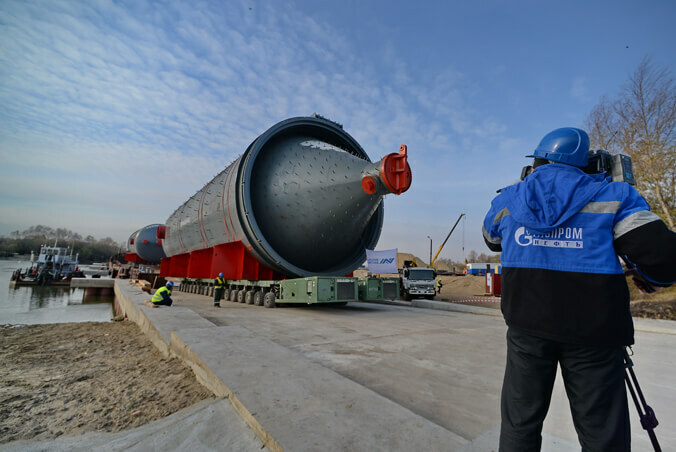 In Omsk, Russia, SCHEUERLE Kunde Keen-Mark moved a 636 ton heavy coke oven for the reconstruction of an oil refinery. Keen-Mark counted on the reliable SPMT for the transport. 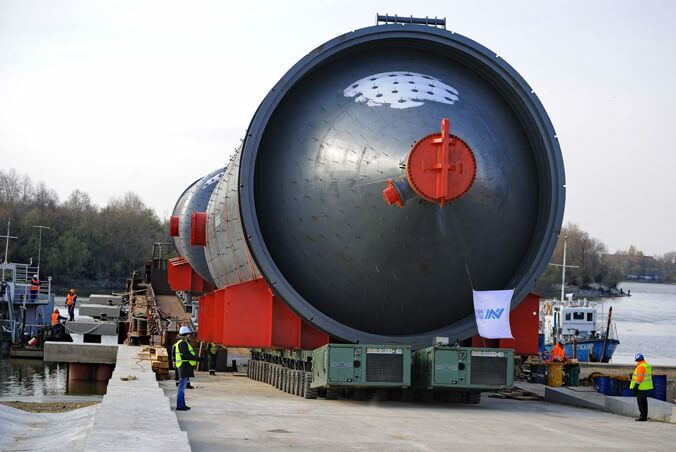 The SPMT was equipped for the transportation of the 36,5-metre long and 10,6 metre wide load with 18 axle-lines and a 4-file combination which ensures sufficient contact surface and stability to prevent overturning.